ISLAMABAD: Pakistan on Thursday rejected international media reports that the China Pakistan Economic Corridor (CPEC) project had any military implications which could be used against any other country. “CPEC is a bilateral economic project, which is not against any country. CPEC is an economic project between Pakistan and China and has helped Pakistan in improving its economy, especially energy and infrastructure,” the spokesman said. As the year ends, the Foreign Office spokesman at weekly media briefing recalled some of the highlights of the government’s foreign policy achievements with regional development and Afghanistan on top of the page. “Kartarpur Corridor is a big high for us and so are our efforts for peace and reconciliation in Afghanistan. Again, the visits of the prime minister to China, Saudi Arabia and UAE are another big high for us. We have not been able to achieve success with India, but we have made efforts to which they were not forthcoming,” he said.In this regard, the spokesman dwelt on the fast paced events in Afghanistan and highlighted efforts by Foreign Minister Shah Mehmood Qureshi and his recently concluded visits to Kabul, Tehran, Beijing and Moscow. “The visit was essentially part of government’s policy to strengthen relations with all neighbours and regional countries. The purpose of the visit was two folds. First, to explore possibilities of a win-win framework for regional connectivity and economic development to help achieve the ultimate objective of economic development and prosperity in the region. Second, to strengthen regional consensus on Afghanistan that is the key for medium to long term sustainability of an Afghan led, Afghan-owned solution,” he said. The foreign minister now plans to also visit Qatar with the same agenda. “Pakistan’s longstanding position to give peace and reconciliation a real chance in Afghanistan has become the basis of an international consensus. Recent developments in Afghanistan (Moscow Format Consultations, Geneva Conference on Afghanistan, the Abu Dhabi meeting) have all led to this widely acknowledged agreement,” he added. Pakistan says this new opening in Afghanistan and willingness of all countries who agree on Pakistan’s important role as facilitator has provided a significant opportunity to also strengthen bilateral relations with all the neighbours, especially for promotion of trade, economic and people to people linkages. “The visit also provided an opportunity to listen to views of the leadership in these countries for promoting a joint regional approach in Afghanistan and explore realistic possibilities of regional integration in economic terms,” he said. If there has been disappointment in the realm of its foreign policy, Pakistan says it is related to ties with India which has failed to respond to overtures from the new government. “Prime Minister Imran Khan wrote to Prime Minister Modi in September 2018. The letter laid out a comprehensive roadmap on how to move forward with India on all issues including, of course, the Jammu and Kashmir dispute. The Indians agreed to it only to backtrack the very next day. We haven’t had much progress with them on the bilateral front so far,” said the spokesman. Despite this, he pointed out that Pakistan went ahead and inaugurated the ground-breaking of Kartarpur Corridor, in which two Indian ministers, one federal and the other a minister of state, along with Navjot Singh Sidhu, a provincial minister, were present. “It was very positively received all around the globe, especially by the Sikh community. We are actively working on developing the infrastructure in Kartarpur,” he added. Meanwhile, the government said its Mission in Delhi is in contact with all relevant Indian Affairs and State governments for repatriation of Pakistani prisoners. 341 Pakistani prisoners including 154 civil prisoners and 187 fishermen are currently incarcerated in Indian jails. Forty-five prisoners, including 12 civil prisoners and 33 fishermen, have completed their sentence. “The High Commission also engages with the Indian media to highlight the plight of Pakistani prisoners. A law firm has also been hired to assist and facilitate the repatriations. 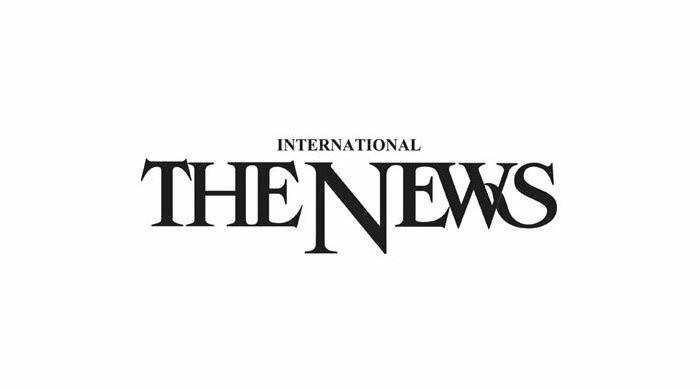 Where required, NGOs working for prisoners and civil rights activists are also engaged to facilitate repatriation of Pakistani prisoners,” said the spokesman.